Ends Meet is a town of small intrigues in a forgotten corner of a wide world, but one whose very presence at the end of the road draws all manner of creatures, both good and evil. And when the casket of a child is unearthed by a violent storm, it triggers a series of events the town’s inhabitants will talk about for years to come. This module includes an adventure that pits the characters against evil forces that have long lingered in the wood, a history of the town, a map of Ends Meet and its environs, details on all the town’s major inhabitants, and a map of an abandoned crypt. It also contains a 3-D rendering of the famed Cockleburr Inn and Tavern. The module includes a complete scenario as well as a host of adventure hooks. 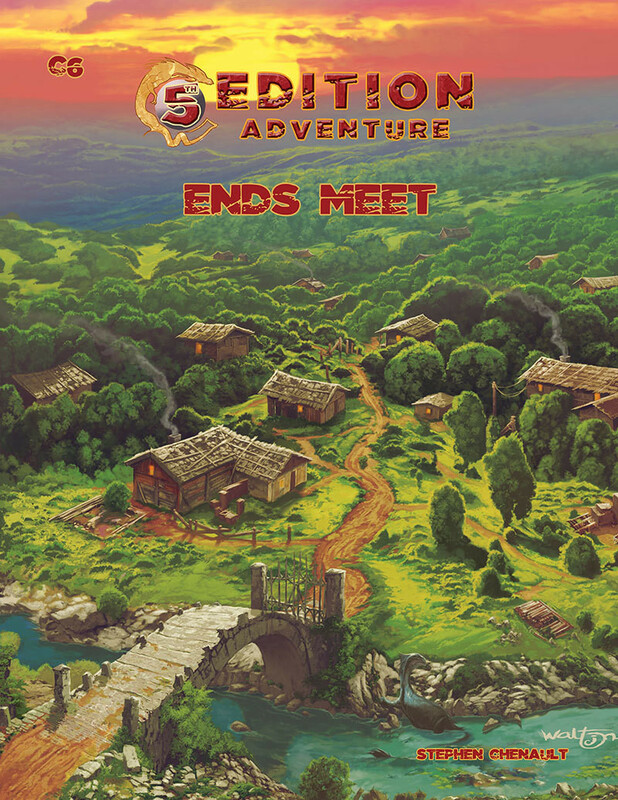 Ends Meet is an adventure for 3-5 characters of around 5-8 level.